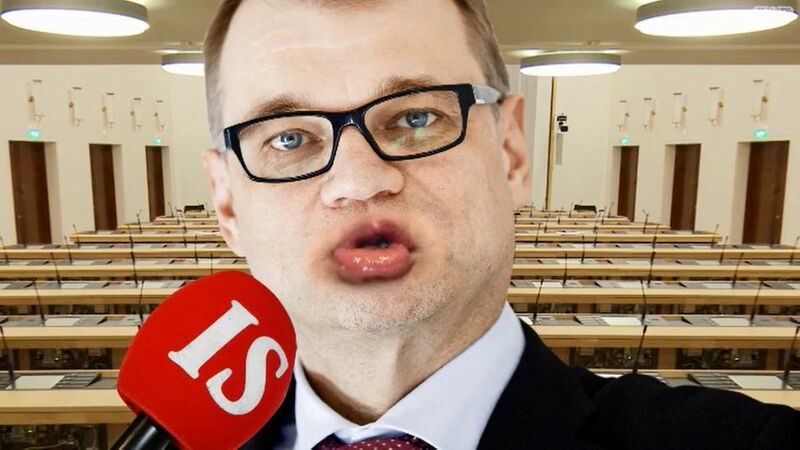 FINNISH PM SIPILÄ STILL TIGHT LIPPED ON PERSONAL HOUSING OF ”REFUGEES” PROMISE…… – The Tundra Tabloids……. At the height of the muslim settler crisis (which is still ongoing) in Finland, the PM chose to offer his home to these people in an attempt to grandstand, thereby driving more of these fake refugees to Finland, 2/3 of which have been officially declared as frauds. So now people are interested if he’s actually going to go through with the moronic promise. My take: In the end he’ll have to do it, the blowback of an empty home that he promised to these Jew and American hating economic tourists will be immense and an international scandal. Prime Minister Juha Sipilä made headlines in September when he offered up the use of his family home for asylum seeker housing. According to the initial arrangement, a group of asylum seekers would move into his home in early 2016, but he now refuses to offer details on the matter. Finland’s premier Juha Sipilä has refused to explain the details of his September offer to let his vacant family home in the northwest city of Kempele be used as emergency housing for Finland’s growing numbers of asylum seekers. “Nothing has changed and the offer is still valid. He doesn’t want to reveal any more details because he considers it a private matter,” his advisor Riina Nevamäki explained. Sipilä announced his idea on a live Yle television programme on Saturday, September 5. News of his generous gesture spread like wildfire through both the domestic and international media. “It was my wife’s idea. We discussed it as a family and then we contacted the municipality of Kempele and asked if it could be a feasible part of the solution, and they gave us the green light,” he said. Next Post Next Post CANADIAN LEFTIST PREMIER (BONA FIDE MOONBAT) APPOINTS SAUDI JEW HATER TO FOREIGN AFFAIRS OFFICE…….